This was a fun themed review game for stories about how God fed Elijah during the three and one half years of no rain in Israel. I like this review game for two reasons. 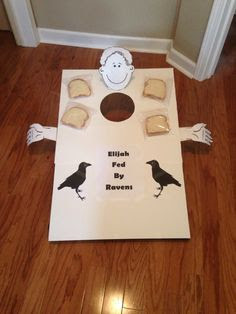 First, it provides visual reinforcement of the story (God fed Elijah bread). 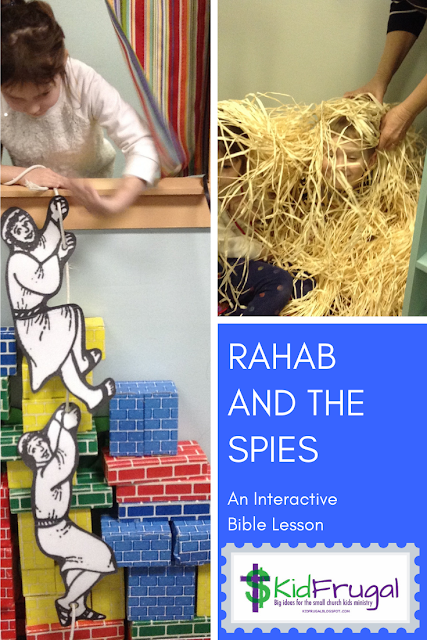 Second, I like to have the kids do something active during a Bible lesson. I put slices of bread in sandwich sized Ziploc bags and the kids tossed them into the hole if they answered a question right. Each kid had three tries. 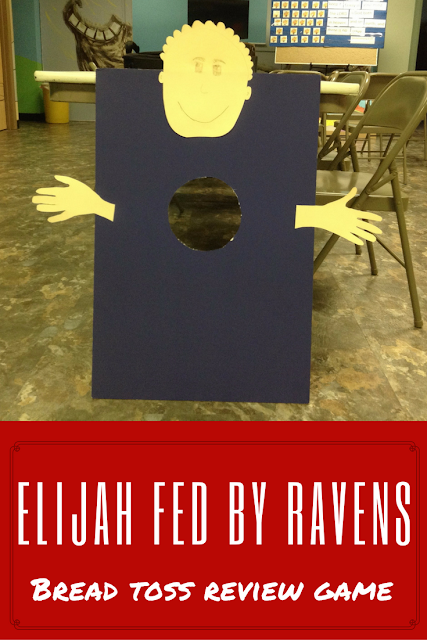 I let the early arrival kids help make Elijah as a pre-session activity. They drew the face and hands (we actually let 2 of the kids trace their own hands). I had the board ready before class and then we just glued on the parts after the kids made them. The idea for this game came from a Pinterest pin.